Shaken Baby Syndrome (SBS), a form of abusive head trauma (AHT) and inflicted traumatic brain injury (ITBI), it is a preventable and severe form of physical child abuse. It results from violently shaking an infant by the shoulders, arms, or legs. SBS may result from both shaking alone or from impact (with or without shaking). The resulting whiplash effect can cause bleeding within the brain or the eyes. If you suspect head trauma, call 911 immediately. The American Academy of Pediatrics (AAP) and the Centers for Disease Control and Prevention (CDC): SBS can cause death, intellectual disabilities or developmental delays, cerebral palsy, severe motor dysfunction, blindness, and/or seizures. SBS is a leading cause of child abuse deaths in the United States. Babies (newborn to 4 months) are at greatest risk of injury from shaking. 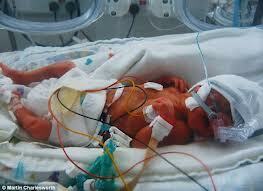 Inconsolable crying is a primary trigger for shaking a baby. See "Period of Purple Crying" information at the National Center on Shaken Baby Syndrome page. Shaken Baby Syndrome (SBS) is often seen as a crime, but it is also a preventable public health problem. State and local health departments and community-based organizations have ties to broader resources and programs that work with parents and care providers and strong connections in communities. Many organizations can help us take a leading role in reframing the issue and engaging all members of a community to take part in the prevention of this form of abuse and death.